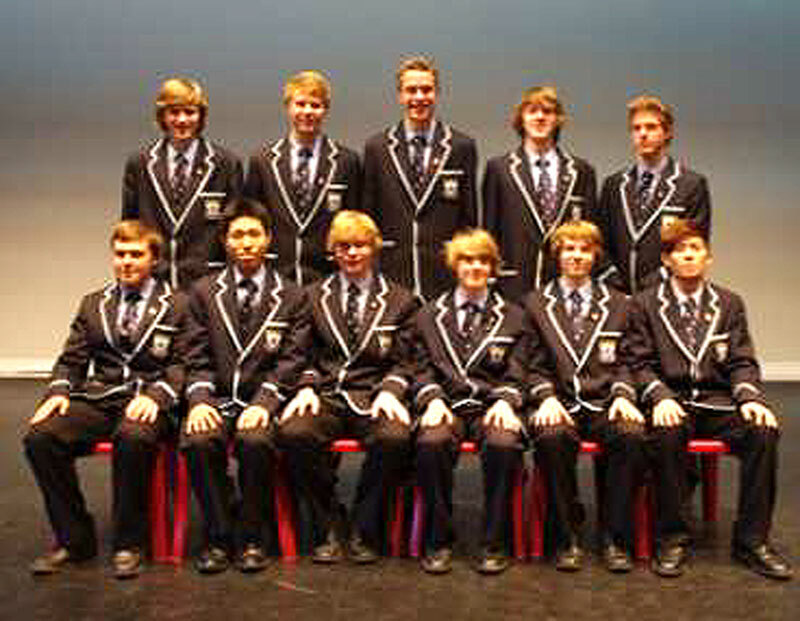 King’s is delighted this year to welcome a group of German student, to school. These 8 outgoing friendly young men are here for either 6 months or a year and seem to have quickly come to terms, with life down under. 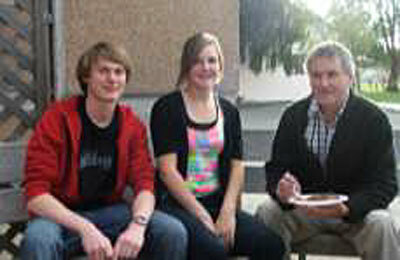 We are delighted to welcome three new German students. Welcome to all our new international students who have been arriving from all around the world over the last few weeks. Most are now in full school uniform, many for the first time, and are settling into their new school. Next week they celebrate their arrival with a BBQ at King’s to which ‘parents’ are invited. 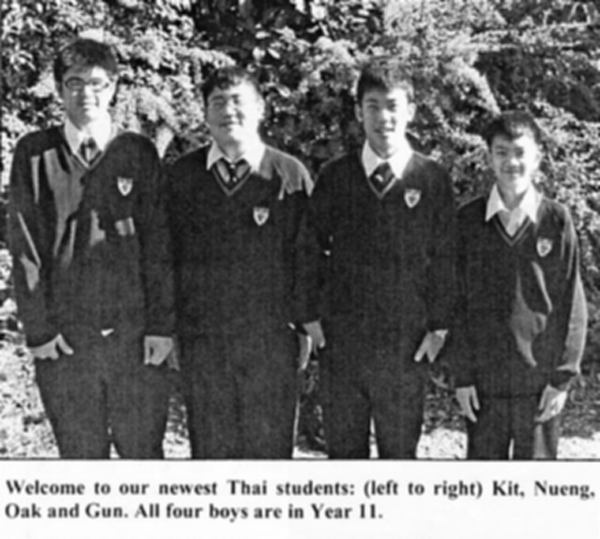 Pictured above are: Tanakorn (Jinn) Chaipara, Yr 12 from Bangkok, Jirameth (Book) Vorachattorn, Yr 10 from Bangkok and Tsang (Mark) Yat Man, Yr 12 from Hong Kong. 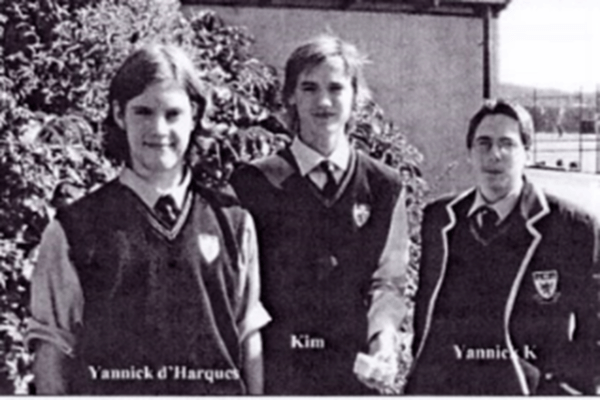 Jinn and Book are talented Mathematicians who are already studying at a level far above their ages. 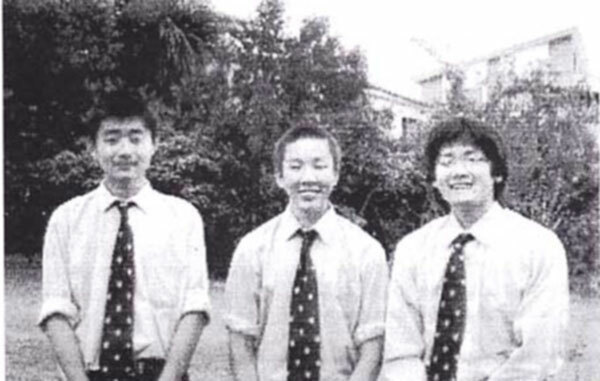 These cheerful characters are, from left: Ryuya Takada, Yr 12 from Japan, Hiroshi Tashiro, Yr 13 from Japan, Peter Laurenz, Yr 12 from Germany, Moritz Thoerl, Yr 12 from Germany and Tomohiro Shikama, Yr 11 from Japan. Hiroshi, still waiting for his uniform, is a keen rugby player who has represented All-Japan U19 at 1st 5/8. Best wishes to you all for a successful and happy year at King’s. It wouldn’t be a King’s week without a sausage being cooked somewhere. 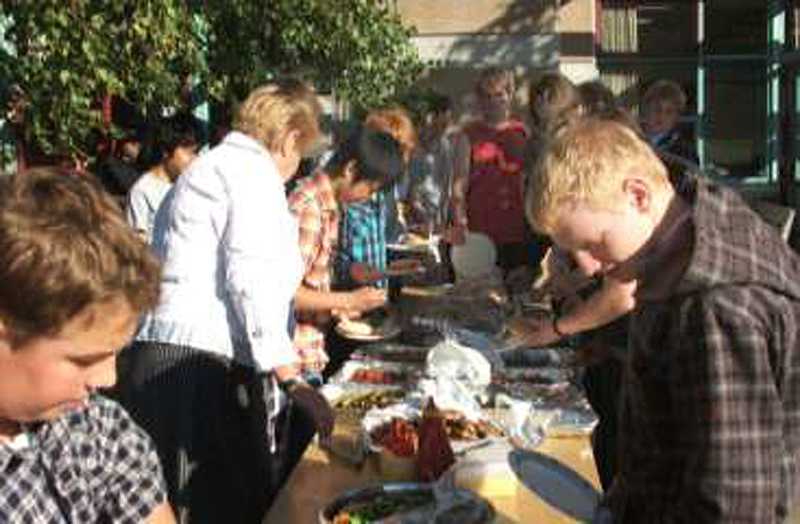 Last night our international students and their families gathered at the catering suite for a good kiwi barbecue with plenty of meat and smoke, and lots of salads. 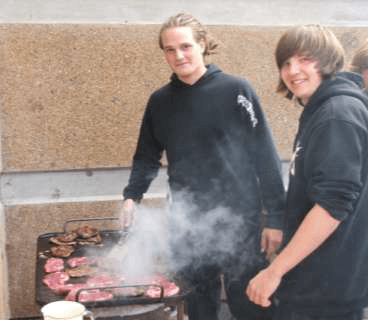 German students, Jacob Gundlach and Max Schiffler lend Mr kebabs and chicken.Campbell a hand cooking up some good, German style sausages. 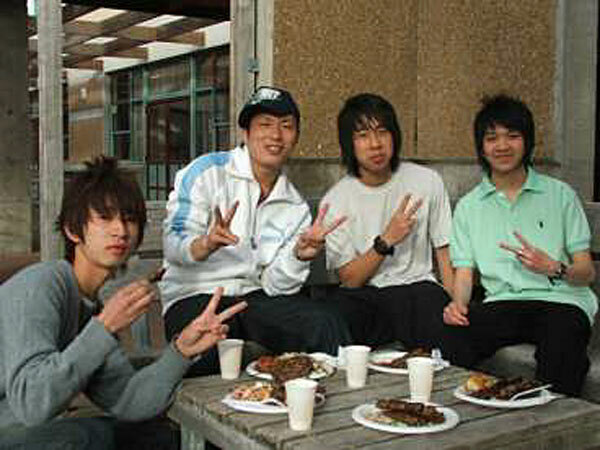 Gerrit Wilkens (Germany), a Vietnamese guest and Duc (Vietnam) get stuck in to some steak, kebabs and chicken. ‘How many sausages have you eaten, guys?’ From left, Junya Nagata, Riyohei Miyazaki (both Japan), Book and Gun (both Thailand) answer the photographer’s question. Riyohei was obviously the hungriest. Julian Kindinger (Germany), left, enjoys the meal with his host family, the McMillans. 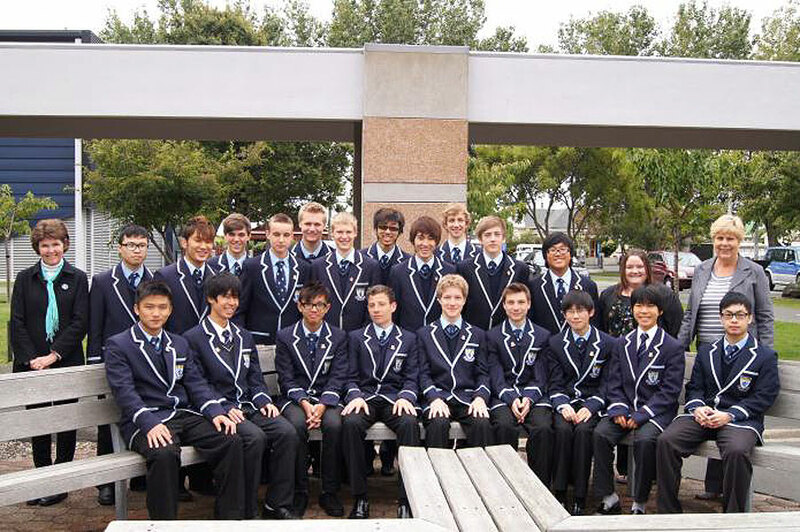 Welcome to King‟s new International Students who arrived this term. 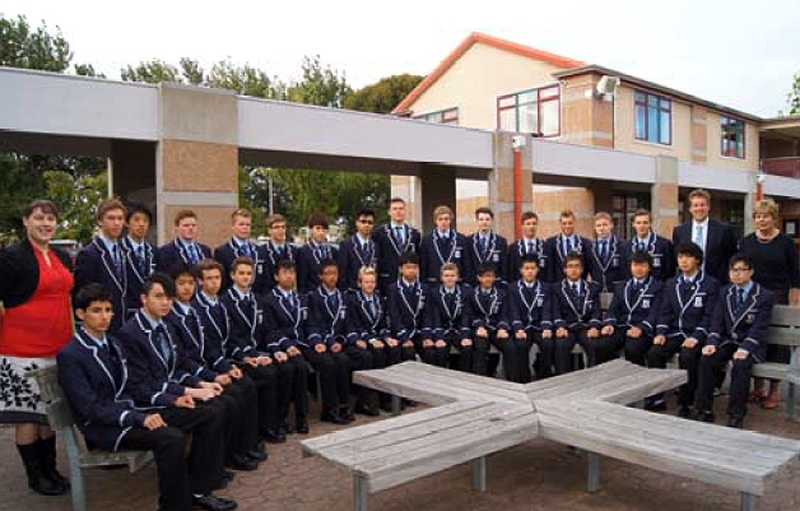 The boys are fitting in well with many of them taking advantage of opportunities at King‟s to get involved in activities as diverse as the choir and the Breakfast club running group. 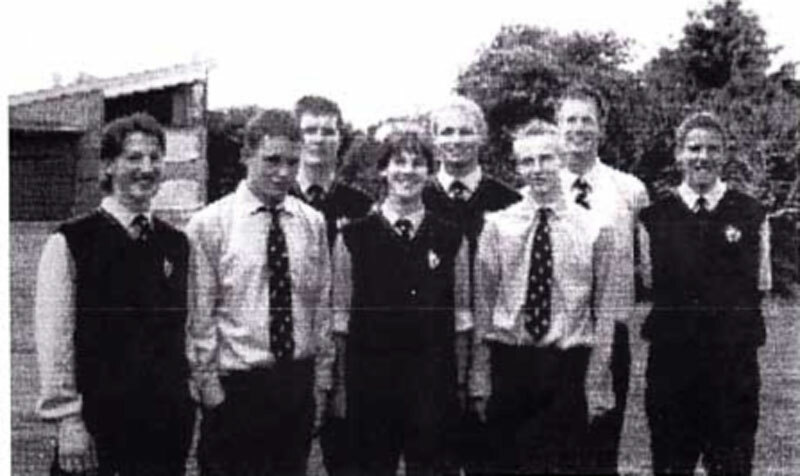 Front from left: Joschka Marx, Ryota Nishina, Fabian Feldhaus, Fabian Fischer, Henning Wode, Jimmy Lo. 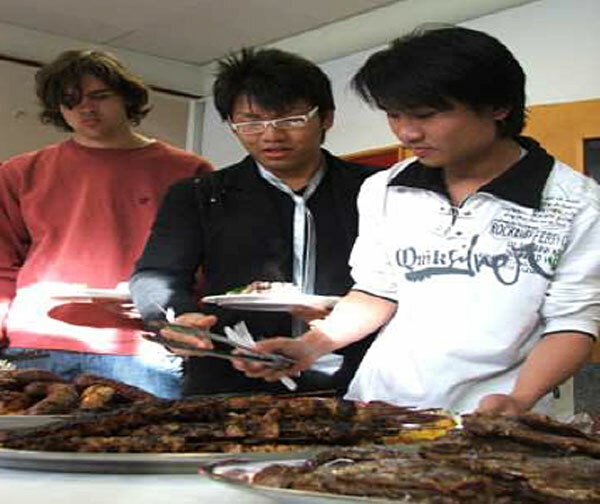 Last week, our international students were welcomed with an evening meal at the Catering Suite. 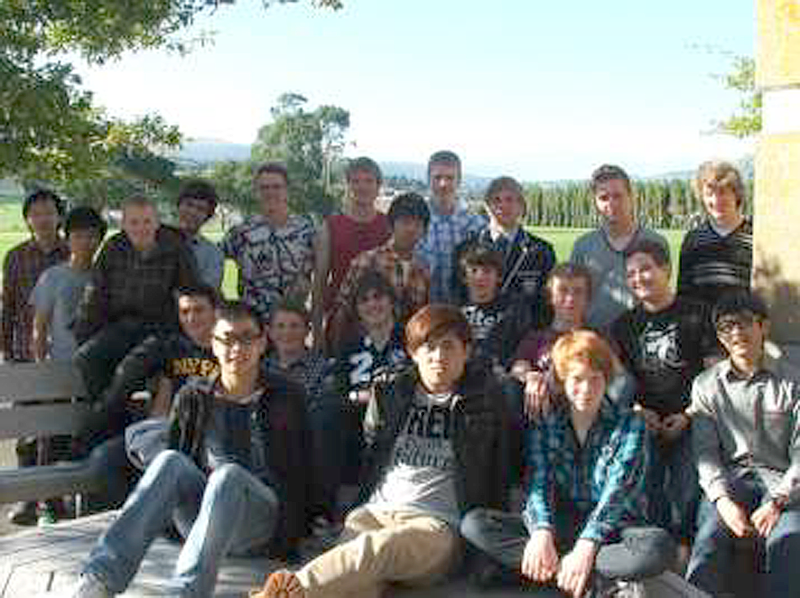 Posing in the evening sunshine is the group with Kiwi friends, Warren van Staden, Yr 11, and Ben Johnson, Yr 12. Lucas Eiling, Rainer Kortmann and Malte Gauger enjoy their meal. Below, the laden tables and hungry customers. At King’s we host a range of International students, all of whom bring energy and knowledge to our classes and to our cultural environment. 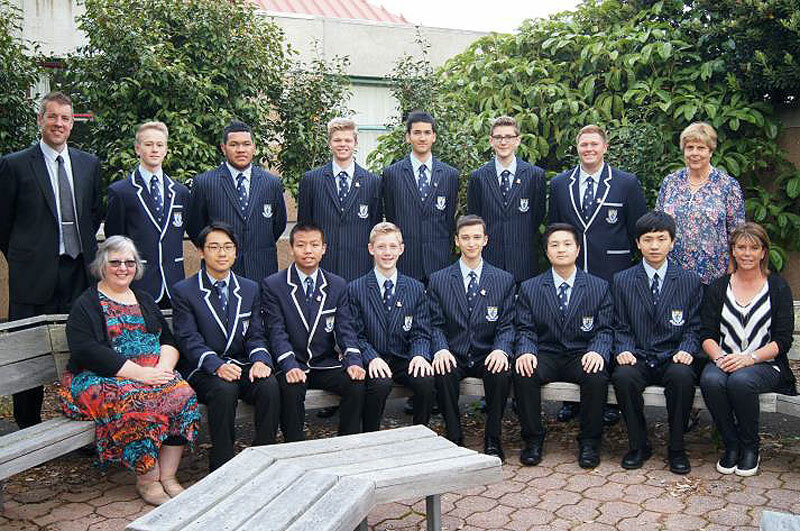 Back row from left to right: Mrs Joyce (tutor), Anson Cheung, Takeru Fumeya, Moritz Moerke, Max Luelff, Soeren Rollwage, Lester Liu, Roy Wong, Jonathan Edling, Cassian Persch, Pathon Kirawt, Mrs Cursey Adie- Cropley (Homestay Coordinator), Mrs Lorraine Klitcher (HOD). 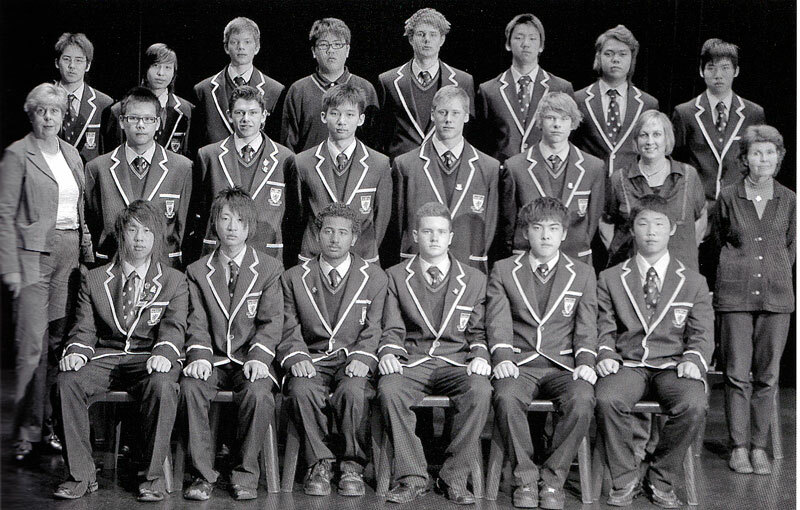 Front row from left to right: Leo Sin, Shunya Kokudai, Agassi Li, Sander Martens, Jan Dreier, Paul Janzing, Hiroki Yamada, Shuher Ebana, Henry Cheung. 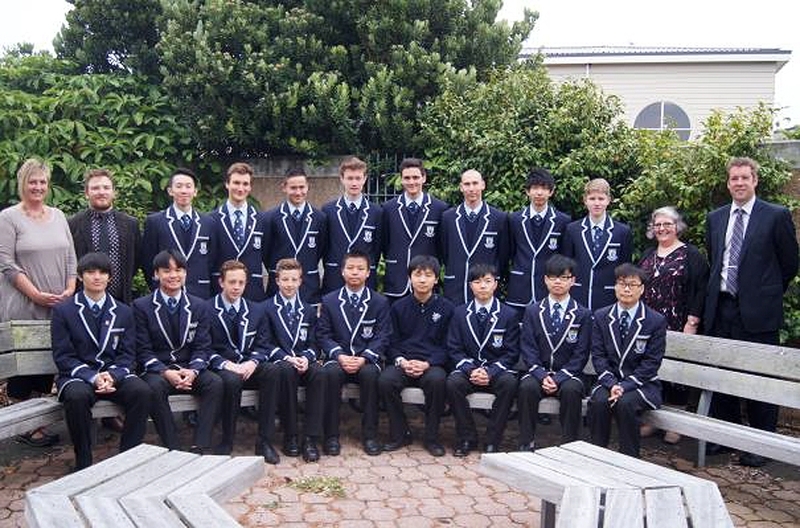 Our International Student body are an important part of the school’s fabric. 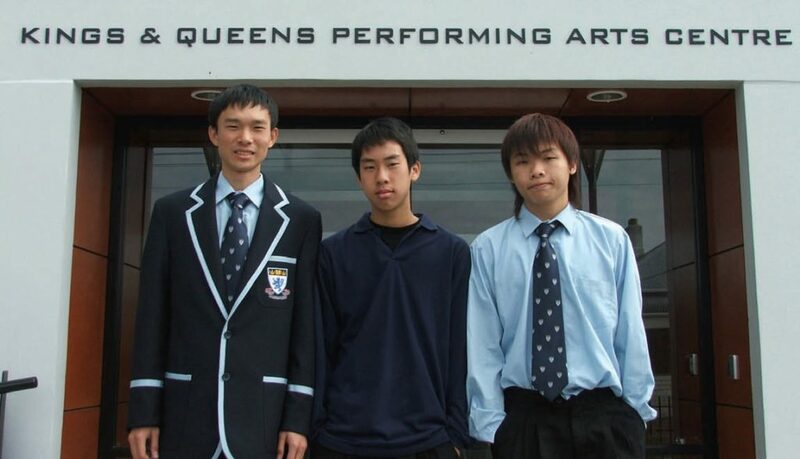 Boy’s from Hong Kong, Germany, Thailand and Japan (to name a few countries) come to King’s to experience the ‘Kiwi way of life’ and a ‘Kiwi’ education. Numbers are strong at King’s this year and we hope that each student enjoys their time at King’s and in Dunedin. King’s High School has the pleasure of welcoming into their International Department students from China, Germany, Hong Kong, Japan and Slovakia. 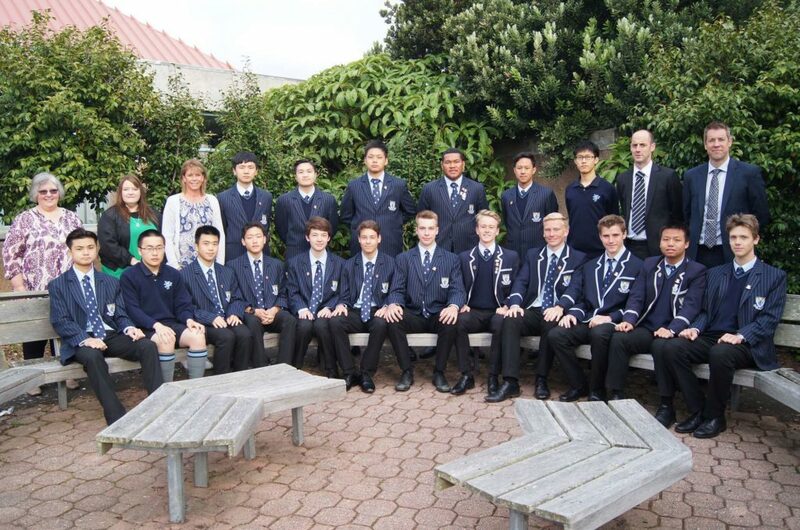 These students are here for varying periods of time, but we certainly wish them all every success in their studies, their sporting endeavours and their cultural experience whilst here in New Zealand. There are some new faces in the International Department and some that are very familiar to us. As always, we’d like to extend a warm welcome to all of our students and we hope that you enjoy your time here at King’s. Back row from left; Mr Reddiex, Paul Ritter, Ta’u Latu, Leonard Gordon, Moritz Heck, Nico Mueller, Mrs Lorraine Klitcher. Front row from left; Ms Jackie Thomas, Seiya Inoue, Dale Dai, Nils Anders, Malik Achiri, Floyd Tso, Alan Chen, Mrs Julie Collings. This year we have a good number of new faces joining the International Department along with a large group of returning students. The students hail from a variety of countries such as Germany, Switzerland, Hong Kong, China, Tonga, Japan, Korea and Thailand. The department definitely has a very multicultural buzz! We’d like to extend a warm welcome to all of our students and we hope that you enjoy and make the most of your time here at King’s.